2008’s The Strangers, written and directed by Bryan Bertino, was inspired by two real-life events: the Tate murders, a series of killings carried out by members of the Manson Family in 1969; and a string of break-ins that occurred in the Texas filmmaker’s neighborhood as a child. One night, while his parents were out, somebody knocked on the front door of Bertino’s house, and his little sister answered it. The strangers on the doorstep were asking for someone who didn’t live there. Later, Bertino found out that these uninvited guests would knock on doors throughout the area; if no one was home, they would vandalize the property and take what they wanted. When I was younger, Michael Bay was the coolest director around. I skipped my junior high school prom to go see The Rock. When I found out he was going to destroy Earth in 1998’s Armageddon, I was hyped up. So imagine how awesome my Tuesday becomes when today’s Screen Junkies Honest Trailer is in fact… Armageddon! 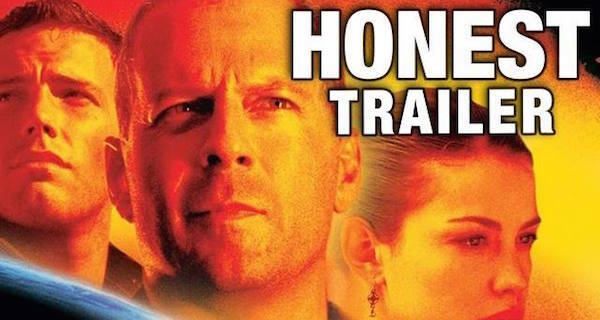 Watch the hilarious Honest Trailer video below. 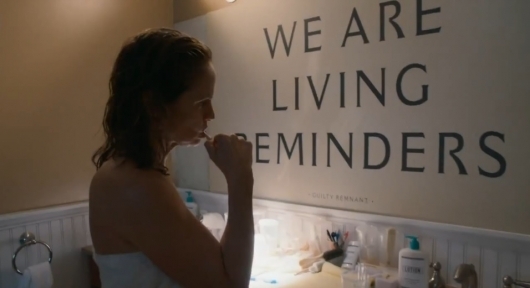 We’ve already seen a first and second teaser trailer for The Leftovers, the upcoming new HBO drama from LOST co-showrunner Damon Lindelof that tells the story of life after a Rapture-like event in which 2% of the world’s population disappears in an instant. Each of the teasers are short—less than a minute in length—but now the first official full trailer has been released for your viewing enjoyment. The full trailer clocks in at over two-and-a-half minutes, and gives you a much better idea of what the new series will be about. 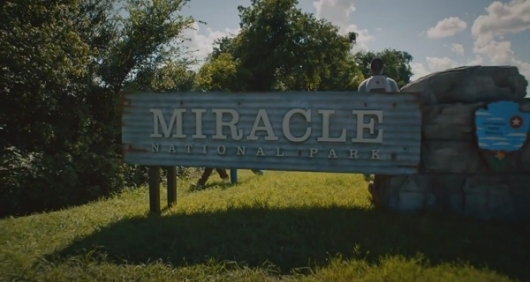 You can check out the full trailer for The Leftovers below, but be warned: a NSFW warning is in effect due to Liv Tyler and Justin Theroux f-bombage and so on. If you haven’t heard of Space Station 76 yet, this is a film you need to keep an eye on when it finally hits theaters. The film, which has been in production since 2012, finally made its debut at SXSW this weekend, and distribution rights to the film have already been snagged by Sony Pictures for all international markets save for the United States, which will be handled by Preferred Content. Space Station 76 has great premise, to make a science fiction dramedy in the future, using the mindset of the 1970s (thus the 76) as to what we thought the future would look like. Think Space: 1999, Buck Rogers in the 25th Century, or the original Battlestar Galactica to get a feel for this approach – huge clunky robots, wood paneling, white structural backgrounds, and of course 70’s fashion sense. 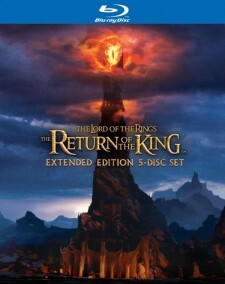 You can read Dr. Geek, Ph.D’s review of The Lord of the Rings: The Motion Picture Trilogy Extended Edition from July 2011 here. In Jean-Luc Godard’s 1965 film Pierrot le Fou the late filmmaking giant Samuel Fuller, a legendary purveyor of uncompromising dramas and adventures that were not afraid of journeying into the darkest realms of the human soul, said, “Film is like a battleground. Love. Hate. Action. Violence. In one word…emotion.” Though he was making a cameo in a movie instead of granting an interview that brief speech perfectly summed up Fuller’s philosophy of cinema, a philosophy that is alive and well in The Lord of the Rings: The Return of the King, the third and final installment in one of the most thrilling epic trilogies in motion picture history. The Lord of the Rings: The Fellowship of the Ring accomplished a feat that few films have ever been able to do: it made a believer out of me. When the movie was first released in December 2001 it proved that epic fantasy features that were not set in a galaxy far, far away could still break box office records. I didn’t see the movie during its blockbuster theatrical run because….I really thought it was going to be terrible. There, I confess. 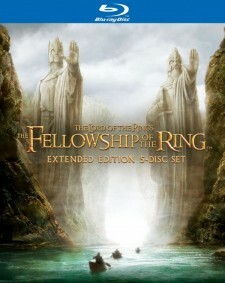 It took me until Fellowship‘s first DVD release in August 2002 to realize that my harsh pre-judging of the movie, mostly based on the simmering anger I felt towards the past few years of bloated Hollywood FX spectacles that offered fantastic visuals but little in the way of memorable stories and characters, was in haste and a huge mistake. I remember the sweltering summer evening when I rented a copy of Fellowship from my local now-defunct Hollywood Video on the way home from work. Knowing in advance that it was a three-hour flick my initial plan was to watch the first half at the least before hitting the sack so I could get up the next morning for an early shift at the Tower Records I had been working at back then for more than three years. Twenty minutes following the start of my first viewing of Fellowship of the Ring and I was hooked; there would be no “To Be Continued” that night. Even though I risked getting barely enough sleep to pass for a member of the living the next day I watched the movie until its very end, and by the time Frodo Baggins and Samwise Gamgee walked off into the sunset to more adventures I was a full-fledged Rings fan.